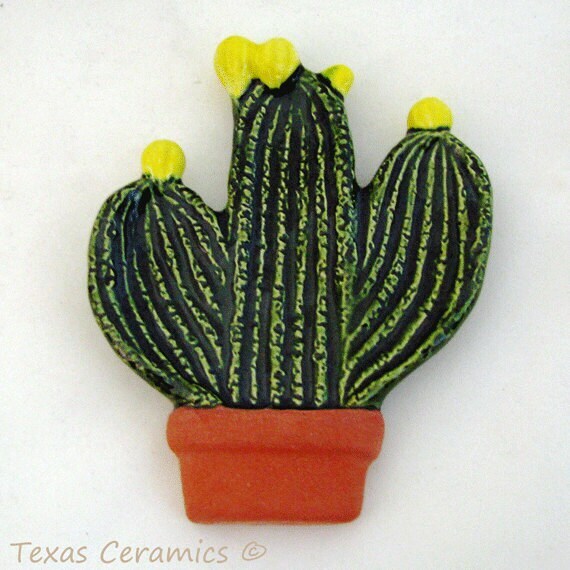 This southwest desert Saguaro ceramic cactus in a terra cotta pot has yellow bloom or buds on each side arm and the main trunk. 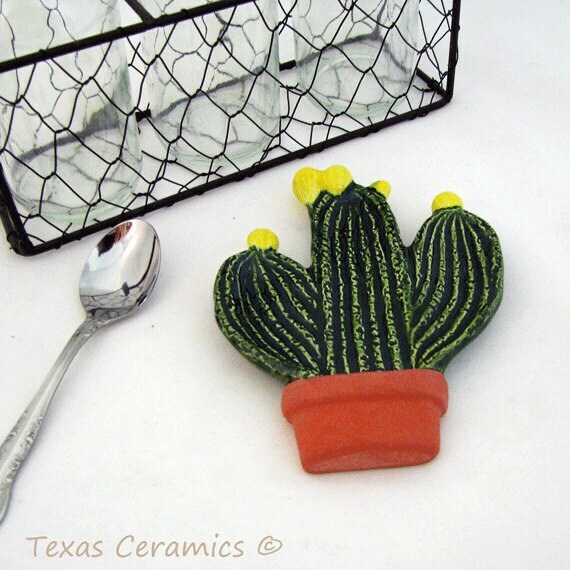 The cactus is a tea bag holder or small spoon rest. 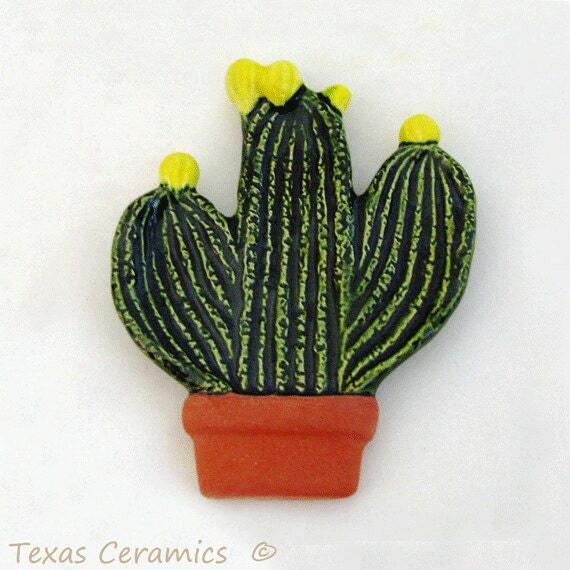 The cactus is glazed in a green food safe glaze, the flowers are in a yellow underglaze and a food safe clear glaze is butted up to the green glaze. 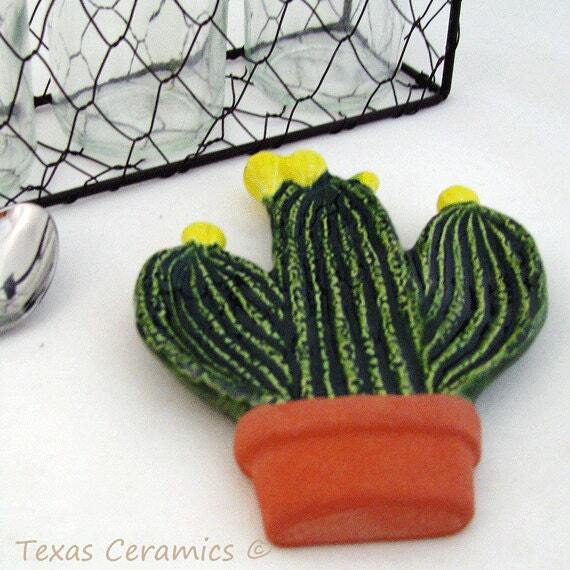 The cactus container is glazed in a specialty glaze resembling a real terracotta pot. This piece has a lot of detail and texture, it is made of slip cast ceramics using a plaster mold, I have been making these tea bag holders since 2004. 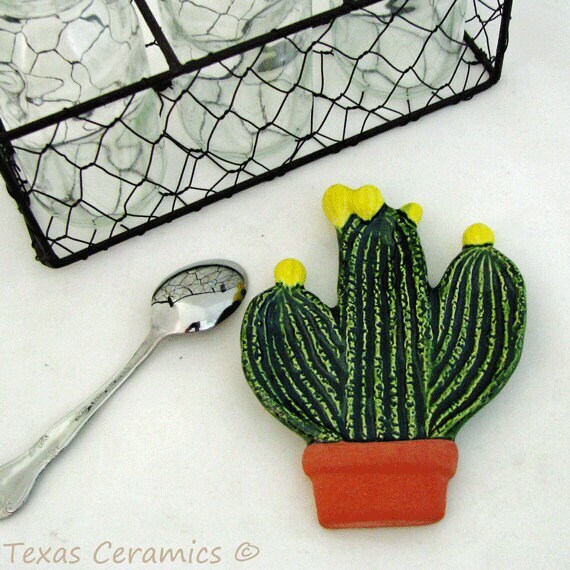 The ceramic cactus in a pot can also be used as a holder for rings (would look nice next to your sink), coins or change, paper clips (not the run of the mill desk accessory), keys, dish scrubber, vegetable brush, coffee (java) pods for those that brew coffee with a one cup maker, teaspoons, tea bags, the uses are unlimited, your imagination is the limit. Tea bag Holders / spoon rests are fun to collect. You can display them in a case or on the wall - regardless of your decor you will find they are cheery and a lot of fun to use. Start your own collection today - they also make wonderful gifts so keep some around for that last minute gift you always need. Amazing! It will be the perfect gift for my colleague! Thank you!